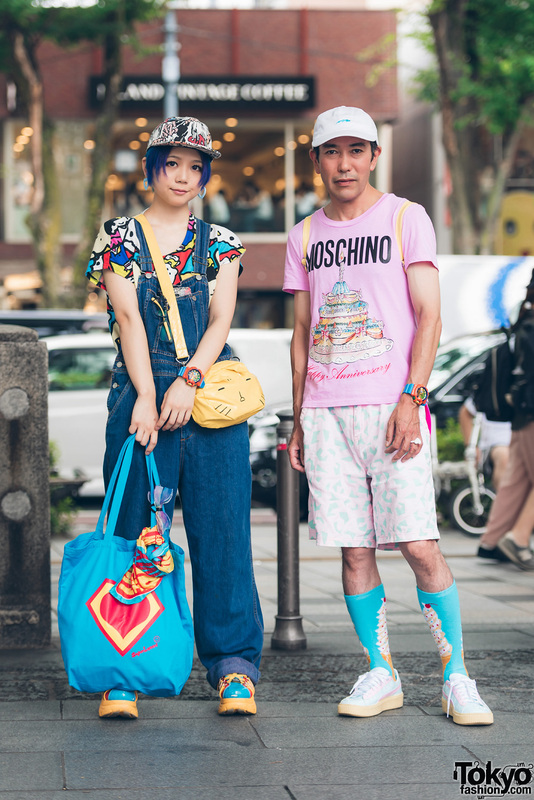 Harajuku duo in printed and pastel street fashion w/ denim overalls over printed shirt, colorblock sneakers, tote and sling bag, pink t-shirt, printed shorts, pastel sneakers and a colorblock backpack. 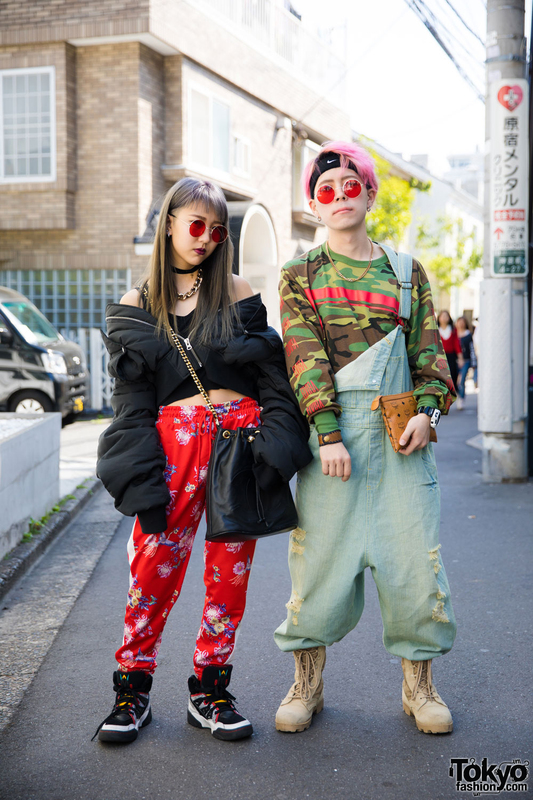 Harajuku duo in colorful street style fashion with bomber jacket, cropped top, pajama pants, hi-tops, camouflage print sweatshirt, denim overalls and combat boots. 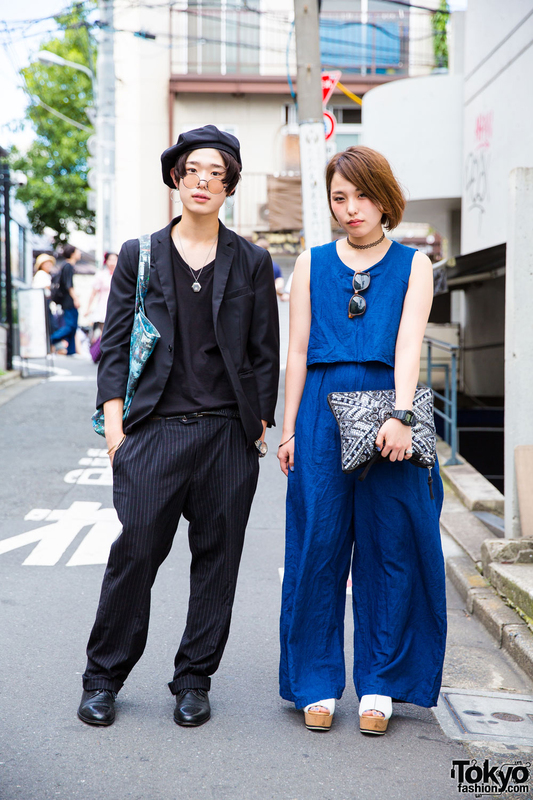 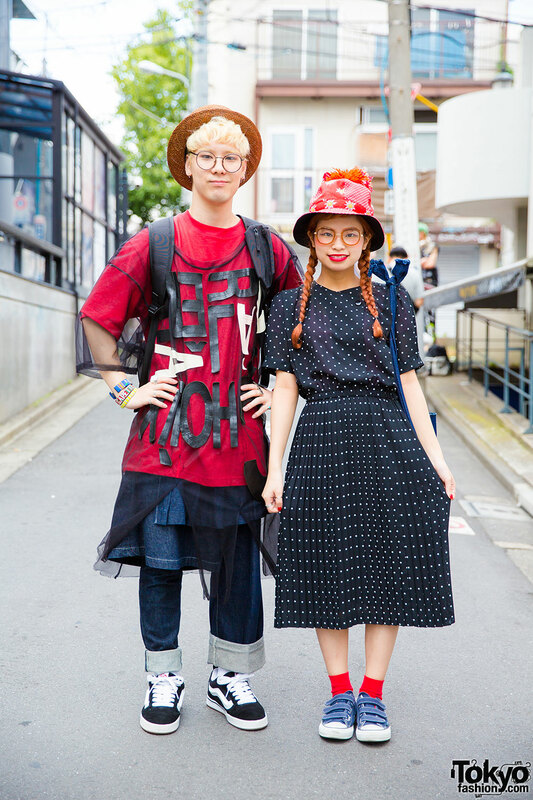 Harajuku duo in resale dress, mesh top, skirt over pants, sneakers, bags, and hats. 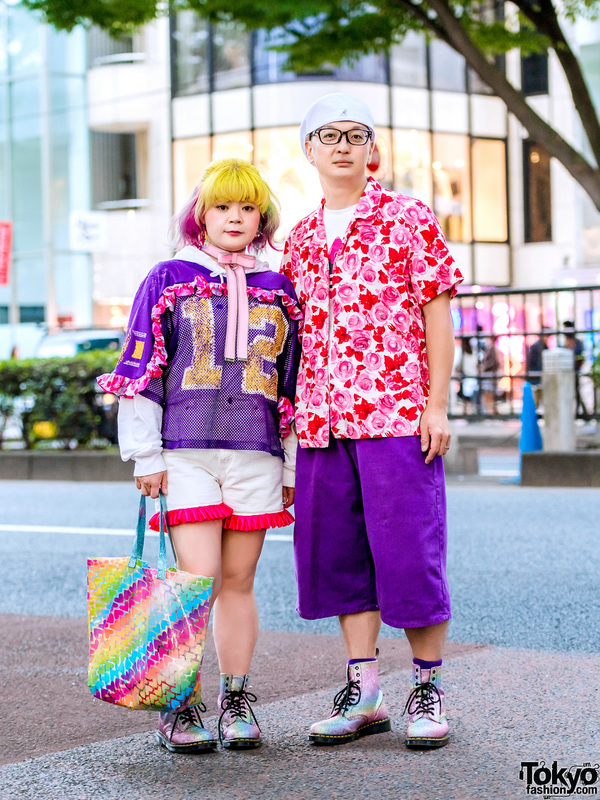 Harajuku guy with mesh t-shirt over graphic t-shirt, cropped pants, triangle bag and sneakers vs. Harajuku girl in white top, black pants, folding clutch and loafers.